Jon became a member of VON back at Vegfest Bristol in 2012. Jon lives in Cornwall and has represented and promoted VON at various events over the years. He has an allotment where he grows veganic food at the moment and is looking to buy some land to expand. 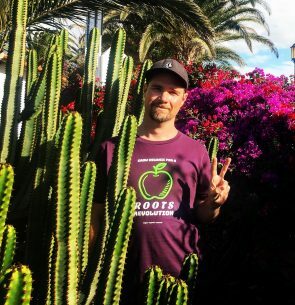 His goal is to create a lifestyle and place of education, teaching self sufficiency and veganic principles. To help heal the earth and help people to reduce their footprint. Also to help people become engaged with where their food comes from and how it is grown and also to reverse illness through this lifestyle.